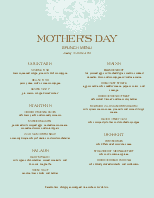 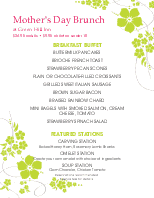 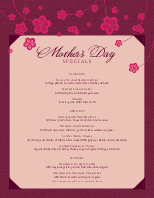 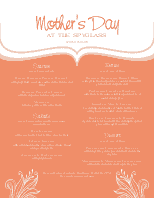 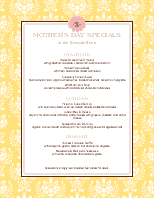 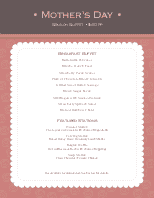 For your special Mother's Day restaurant event, try one of our designer menu templates. 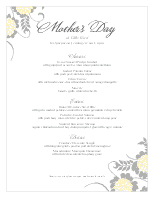 A unique Mother's Day menu will add to the creativity and appeal of your event. 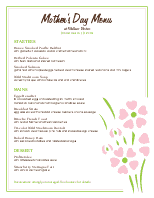 Any template can be customized in minutes directly online. 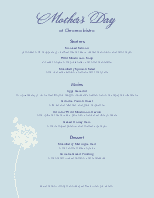 Print and share the menus on social media in a few clicks.